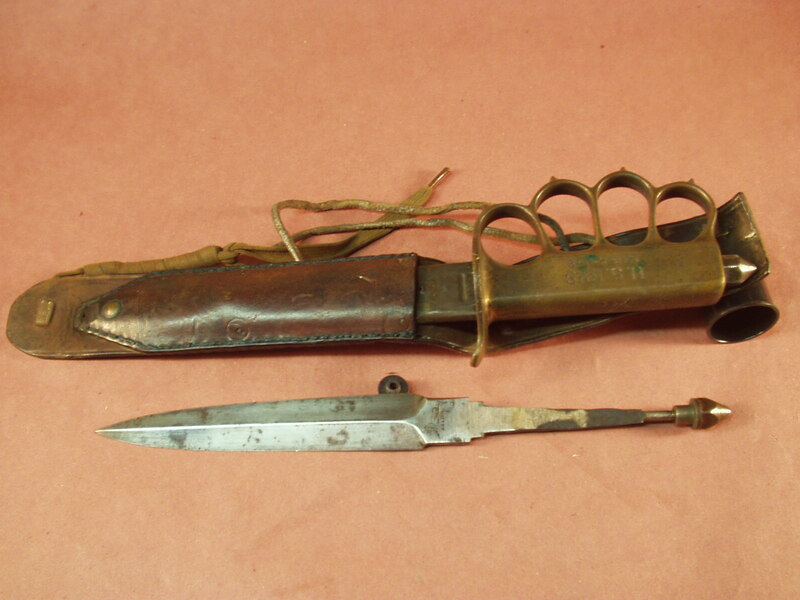 What we have here is a true part of WWII History an original 1918 L.F.&C knife with original sheath, field modified sheath and extra Aulion Marked Blade. This knife was purchased from a family who’s father was in the US Army 1st Division and was carried while serving with the US forces overseas. 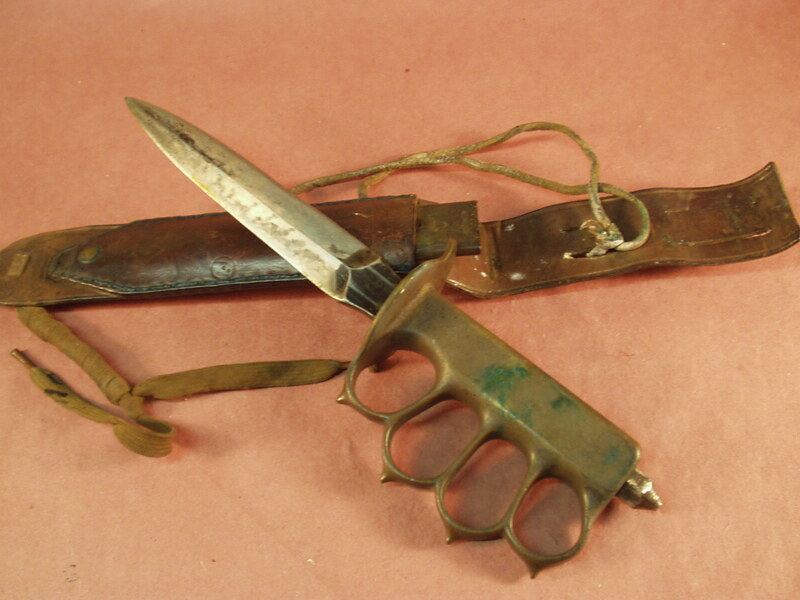 No doubt this knife saw combat, as the family shared a few of the soldier’s stories. 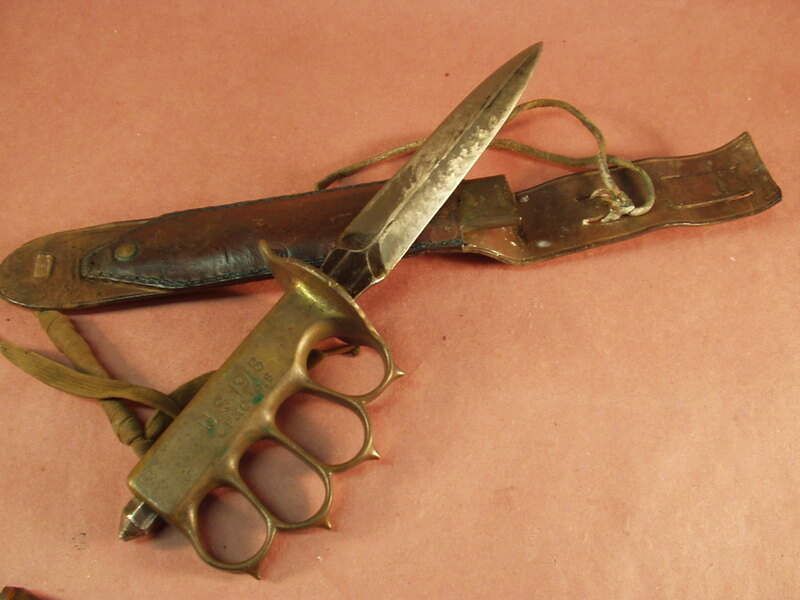 The knife is all original and comes with the original metal scabbard. 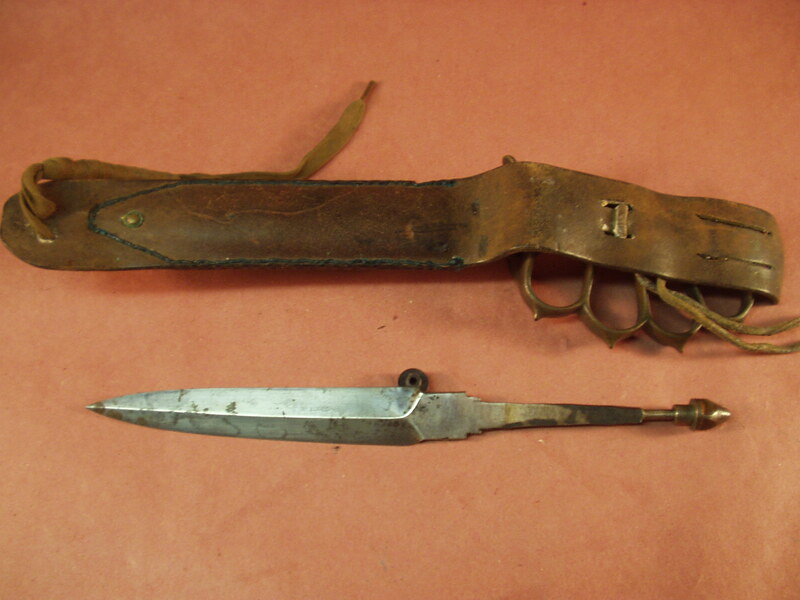 A leather field added sheath was made to carry the all metal sheath as in itself it was not easily adaptable to field gear. The sheath is stitched with copper threading, the hold down is a WWII era combat boot lace. The blade attached to the handle currently is not marked, the spare blade is marked with Aulion and a picture of a Lion. Both blade have some discoloration but the edges are factory and they do not appear to have been sharpened. Overall an exceptional piece of WWII personal equipment that saw combat and to this day still remains in excellent condition. 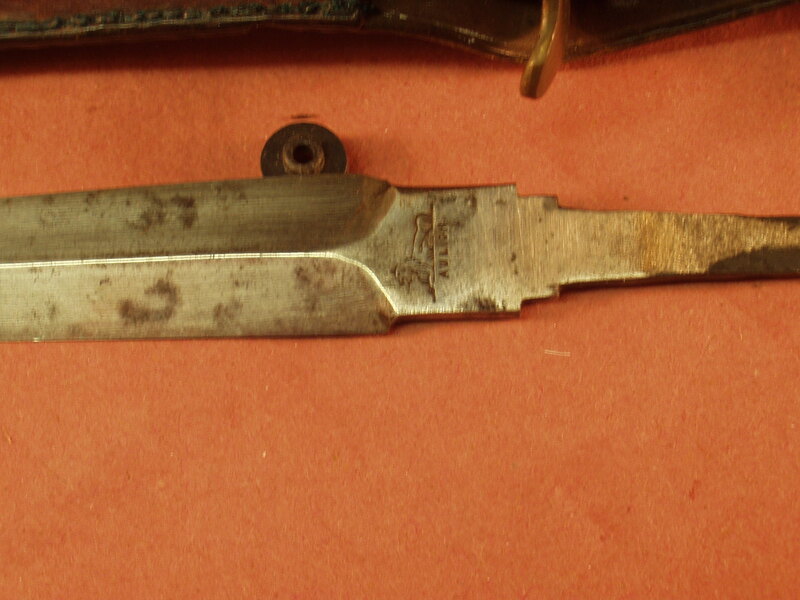 We have never seen a L.F.C 1918 with an extra blade.